Epson is enjoying tremendous growth in Southeast Asia with a 9% improvement for the 2015 Fiscal Year. However, the best is yet to come as they continue to focus on four key growth areas: Robotics, Business Printing, Wearable Technology and Visual Communications. In robotics, the company aims to improve on their high-precision SCARA robots which make them the global leader in the industry. Recently, they have developed the C8 robots which can sense forces to as limited as 0.1 Newton. This enables the new industrial robots to perform precise and delicate tasks such as assembling small components. 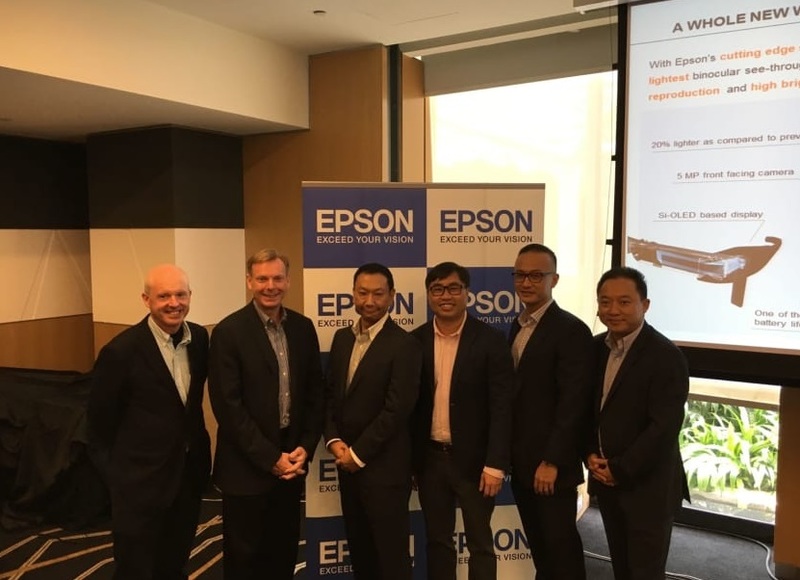 For the 2016 fiscal year, Epson sees a 150% growth due to the strong demand for industrial robotics in the region. Meanwhile, Epson’s growth in business printing is triggered by the durable and reliable Micro Piezo and Precision Core print head technologies. Aside from that, the company targets growth through their Replaceable Ink Pack System printers that can produce up to 75,000 pages with each ink pack. It also lowers carbon emissions as compared to laser printers. Likewise, their business printers are geared to reduce environmental impact by equipping their inkjet printers with their Paper Lab office papermaking system which is the world’s first in-office paper recycling machine. Aside from eliminating the need to bring documents to recycling facilities, offices can get instant supplies of office paper from waste paper. For Industrial Printing, Epson sees a 13% growth for the 2016 fiscal year by focusing on the digital textile and label printing businesses. Helping them in the rise is their Precision core print head that is ideal for printing on fabric and signages. Aside from that, they plan to introduce a high-end direct digital textile printer by collaborating with Robustelli. Finally, Epson is keen to improve on their visual communications by introducing high-brightness laser projectors as well as 3LCD laser projectors that can deliver up to 25,000 Lumens of brightness. Meanwhile, Epson is also rolling out the Moverio BT-300 OLED Binocular smart glasses that provide a better reality experience with vibrant colors and increased brightness. An upgrade from the MoverioPro BT-2000 which was launched this year, the BT-300 will bring Epson’s share of the augmented reality smart eyewear industry to greater heights.